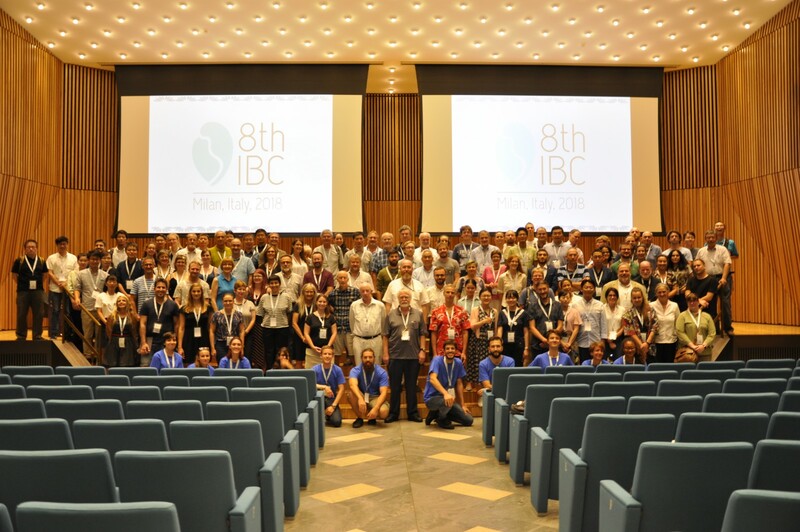 The abstract submission to the third edition of the International Congress on Stratigraphy (STRATI) is now open. The congress will be held in Milano (Italy) from the 2nd to the 5th of July 2019. Oceans are “populated” by millions of specimens of microscopic organisms which constitute the phytoplanktonic communities (e.g. diatoms, dinoflagellates, cyanobacteria and coccolithophorids). These tiny organisms are important indicators of the “health” of present oceans and their remains constitute important tracers of past paleoenvironmental conditions. The ocean is in fact the oldest and largest ecosystem on Earth and best records global changes in climate and atmospheric composition, as well as major variations in physical, chemical and trophic parameters. This is particularly important since recent environmental changes, pose urgent questions regarding biota ability to cope with rapid and progressive climatic changes accelerated by anthropogenic emissions of greenhouse gases. A major issue of present global environmental perturbations, regards the impact of rapid warming and climate instability on ecosystems. Concerns are therefore addressed to the possibility that biodiversity loss will soon derive from biota failure in sustaining such profound alteration of ecosystems. It is well known that increasing CO2 is inducing pH lowering. This has an effect on CaCO3 saturation state and calcite compensation depth in the oceans with consequent problems for calcifying organisms such as corals and microplankton: these groups become vulnerable and unable to produce their shells-skeletons if the acidity passes a critical level. At present, decreased calcification could have negative impacts not only on marine ecosystems, but also on marine food chain (and resources) at global scale. One phytoplanktonic group which can provide important information regarding past and present response to environmental perturbations is constituted by coccolithophorids. Coccolithophores are golden-brown algae (phylum Haptophyta) which live in the upper photic zone and that developed the ability to secrete tiny calcite crystals and arrange them to build an exoskeleton called coccospheres. Although these algae are extremely tiny (a few microns), they are important primary producers. 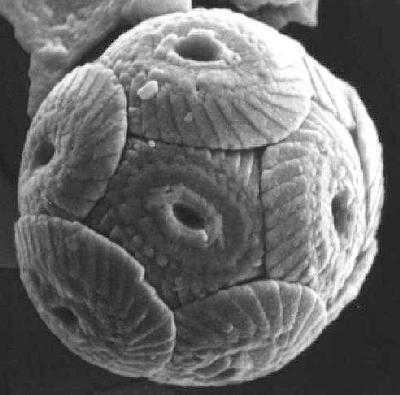 The biocalcification process made coccolithophores rock-forming organisms during the Jurassic and Cretaceous and they were/are directly involved in the total carbon budget by influencing the carbon cycle via photosynthesis and biocalcification. 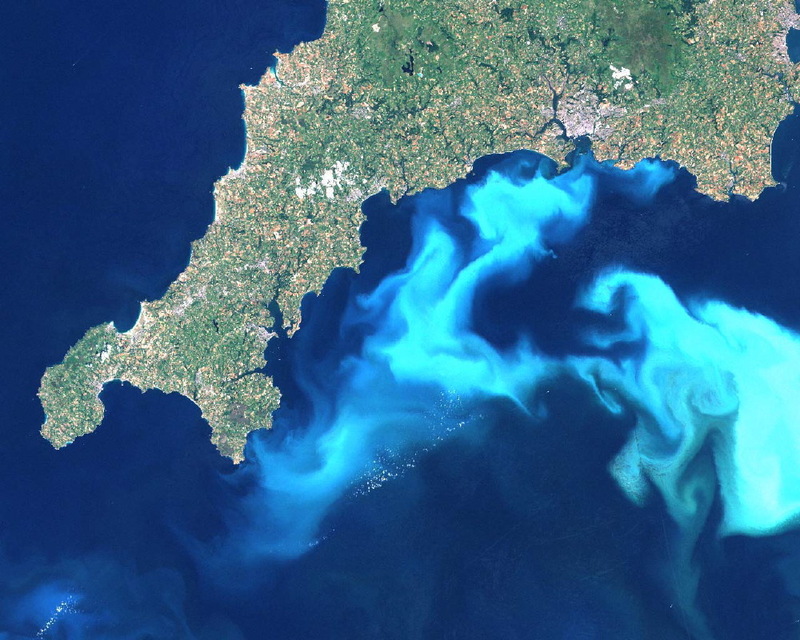 We understand how these organisms are widespread in the oceans and, consequently, important for the carbon cycle by looking at blooms of the coccolithophore E. huxleyi which are visible from space! Under certain conditions, Emiliania huxleyi can form massive blooms which can be detected by satellite remote sensing. The white could is the reflected light from billions of coccoliths floating in the water-column. Details: Landsat image from 24th July 1999, by Steve Groom. One commonly used approach to derive projections of how ecosystems will look in the future is to perform experiments on living forms. The data obtained from several experiments over the last decades, evidenced a direct impact of increasing CO2 emissions on coccolithophores but several questions are still open regarding the mechanisms involved during biocalcification and the role of combined high CO2 with other stressing factors. 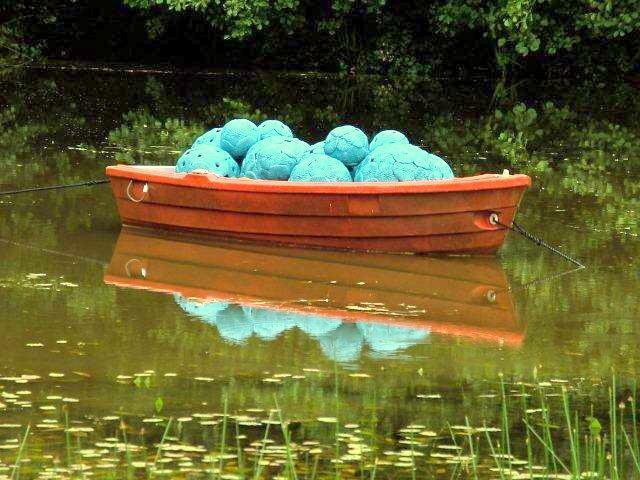 Scientists have to work to understand the capability (and velocity) of coccolithophores to adapt to these environmental changes as well as to understand the interaction of different parameters on biocalcification and their effect on the ocean/atmosphere system. Additional methods of investigation can be applied to model the evolution of the ocean from the recent past to the near future, as for example presented in a published work based on satellite observations. The dataset indicates that the Arctic Ocean and its surrounding shelf seas are warming much faster than the global average, potentially opening up new distribution areas for temperate‐origin marine phytoplankton. The data already show that increased inflow and temperature of Atlantic waters in the Barents Sea resulted in a striking poleward shift in the distribution of blooms of E. huxleyi (Neukermans& Fournier 2018). Fossil coccosphere of Watznaueria barnesiae (Black) Bukry 1969 (http://ina.tmsoc.org). Last but not least, geologists can obtain important information which cannot be acquired via laboratory experiments. For example, it is not possible to capture the ability of organisms to migrate or to select and evolve. Experiments are often limited to a select few species and cannot represent the complexity of ‘real’ ecosystems. Moreover, “environmental scientists” deal with time scales of day to decades but geoscientists work on records of thousands to millions of years and look at the largest “natural laboratory” on earth captured in sedimentary rocks and their fossil content. Only through the combination of the information that can be gained via experiments, via new techniques and the study of microfossils, scientists will be able to help understanding the Earth system at longer time scales (than human observations) and make prediction about the response of our planet to profound climatic perturbations. Griet Neukermans and Georges Fournier, Optical Modeling of Spectral Backscattering and Remote Sensing Reflectance From Emiliania huxleyi Blooms, Frontiers in Marine Science, 10.3389/fmars.2018.00146, 5, (2018). After 50 years of ocean explorations, scientists continue to rely on cored material from beneath the ocean floor. The material recovered during oceanographic expeditions constitutes, in fact, a great archive where to look for answers to unravel the Earth’s system history. 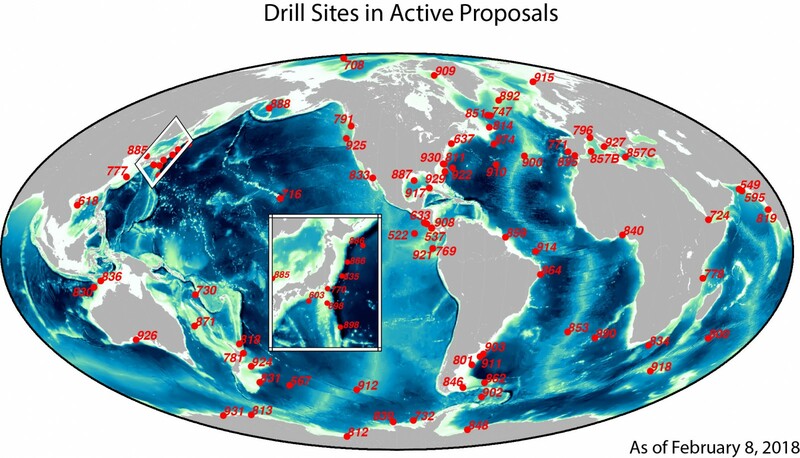 Over the last decades, subsequent scientific ocean drilling programs (Deep Sea Drilling Project, Ocean Drilling Program, and Integrated Ocean Drilling Program) allowed to gain precious records which have provided information about Earth’s dynamic nature including ocean circulation, climate change, ocean basin formation as well as evolution and adaptation of oceanic life forms. The integration of the dataset deriving from offshore sites with available information obtained from onshore sedimentary successions, constitutes the base for improving the Geological Time Scale and for a better understanding of the physical, chemical and biological processes controlling the formation and distribution of sediments and sedimentary rocks. 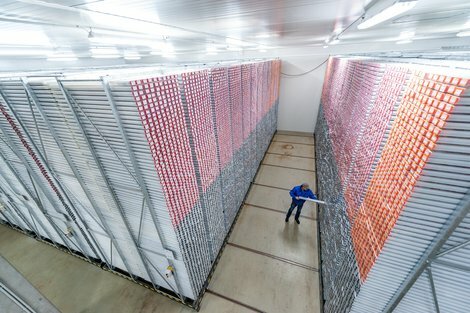 For this reason, the ocean drilling is never stopping: the ongoing program “Exploring the Earth under the sea” of the International Ocean Discovery Program (IODP), continues to provide scientists with deep-time archive to be studied (http://www.iodp.org). The topics related to the IODP include climate and ocean change, biodiversity and origin of life, the Earth in motion, and the Earth structure and dynamics in relation with its surface environment. Following the variety of topics addressed, the oceanographic expeditions require, first, specialists of different disciplines on board. Eight IODP expeditions were conducted in 2017 for more than 60 scientists from different countries involved on board. It is, therefore, a fascinating opportunity for experts and young career scientists to participate to an expedition. 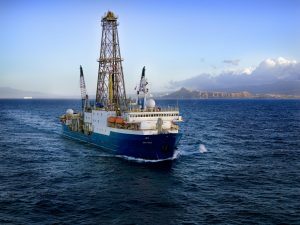 In Europe, the European Consortium for Ocean Research Drilling (ECORD) unites 15 countries (14 European countries and Canada) and provides mission-specific platforms for IODP expeditions. Three Platform Providers conduct IODP expeditions: U.S.A. and Japan operate deep-sea drillships with the JOIDES Resolution and Chikyu respectively. ECORD is responsible for funding and implementing mission-specific platform (MSP) expeditions. Cored material is available for all scientist and there are three IODP core repositories located in Germany (IODP Bremen Core Repository), College Station, Texas (IODP Gulf Coast Repository), and Kochi, Japan. Scientists may visit any one of the facilities for onsite research or request samples for analysis purposes. Archived cores include not only IODP samples, but also those retrieved in the two older IODP legacy programs (DSDP and ODP). If you are a scientist from ECORD member countries willing to participate to one expedition, you should check the ECORD website (http://www.ecord.org ) where open calls and related information about how to participate to an IODP expedition are provided. Otherwise, do not miss to visit the ECORD booth at EGU 2018 this year! There will also be dedicated IODP-ICDP sessions to celebrate 50 years of successful explorations as for example EOS18 “ECORD IODP Outreach: Past, Present and Future”, US4 “Fifty years of International Ocean Drilling”, and SSP1.2. “Achievements and perspectives in scientific ocean and continental drilling” which will constitute good opportunities to acquire information on previous and new expeditions as well as to get in touch with other scientists!